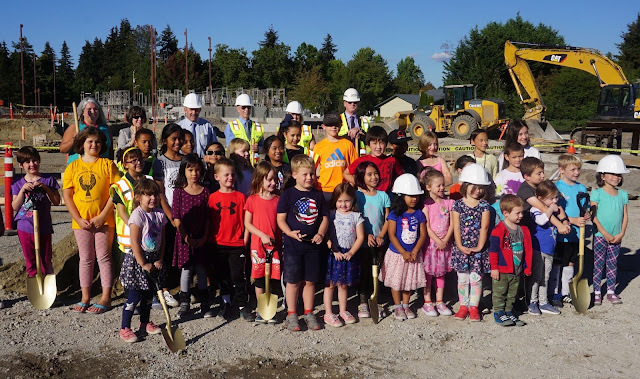 Parkwood Elementary students, staff and community gathered at the construction site of their soon-to-be new school for a groundbreaking ceremony to mark the beginning of the school construction project on Wednesday, September 19, 2018. 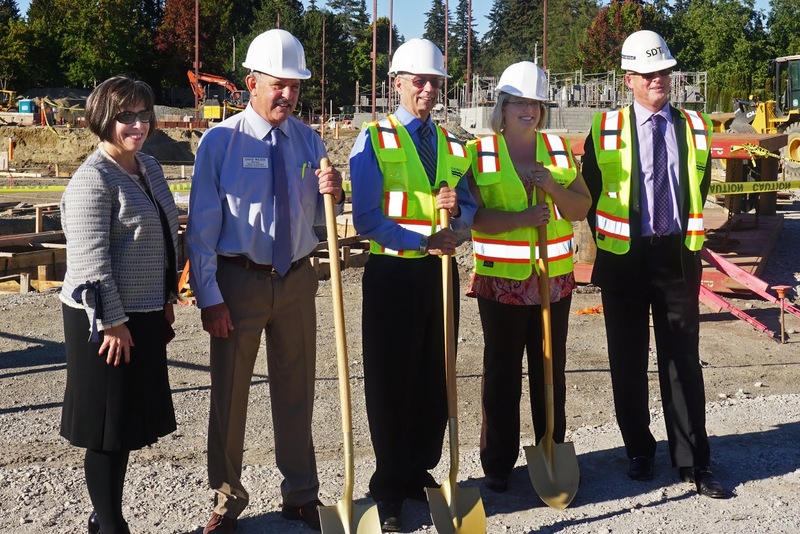 Construction was a little further along than you would typically expect for a groundbreaking due to the originally scheduled event on August 20 being postponed because of poor air quality from wildfire smoke. 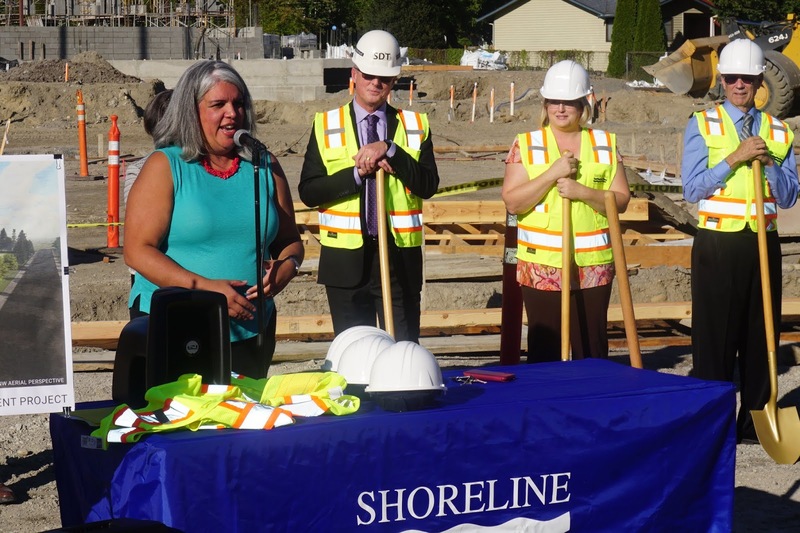 Superintendent Rebecca Miner, School Board President David Wilson and Parkwood Principal Ann Torres spoke about their excitement for the new learning space and appreciation for the support of the Shoreline and Lake Forest Park communities in approving the 2017 school bond. The new Parkwood will open in August 2019. 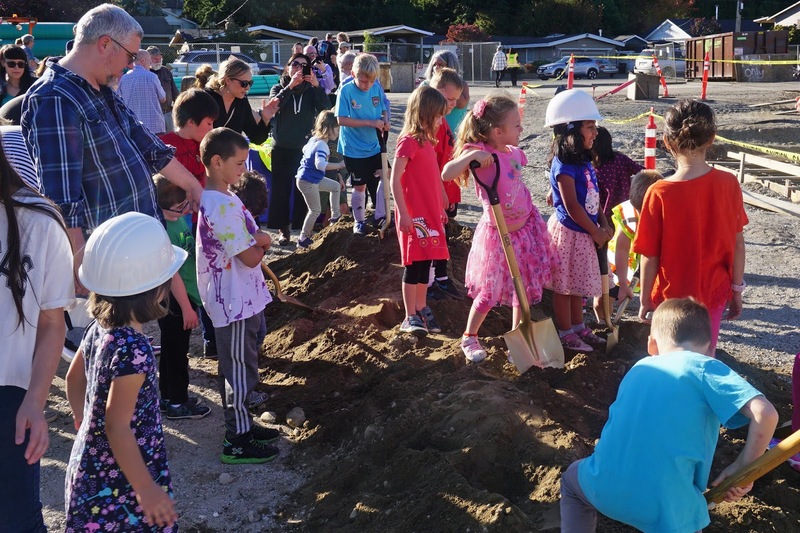 After their remarks, all of the children in attendance were invited up to help break ground along with the school board. 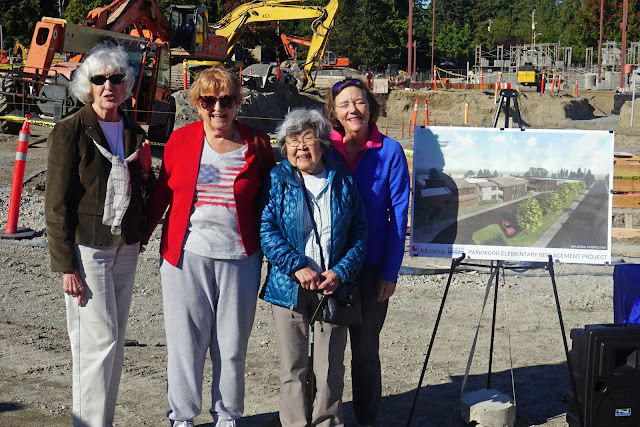 As you can see from the photos, they has a blast.